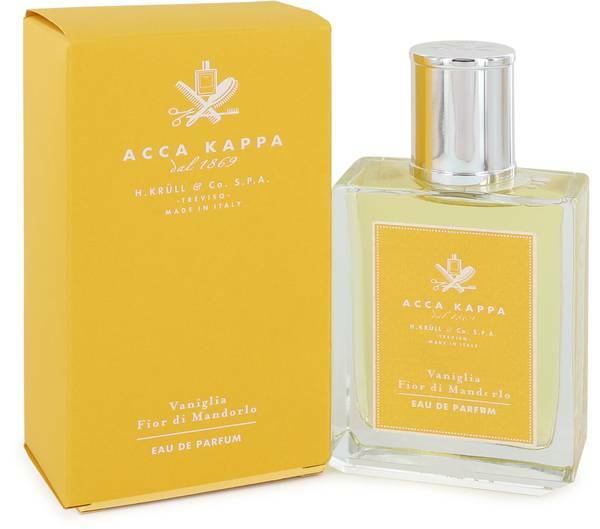 Vaniglia Fior Di Mandorlo Perfume by Acca Kappa, Launched in 2014 alongside a handful of the brand’s other contemporary creations, Vaniglia Fior Di Mandorlo is a smooth oriental fragrance that’s great for use on chilly fall or winter days or nights. The scent introduces itself with top notes of heady jasmine and bergamot, a sweet-tangy combination that’s sure to immediately grab attention .The middle notes consist of nutty almond blossom and vanilla, and over time these fade into smooth base Read More Read More notes of amber, musk, tonka bean and sandalwood. Together, these notes create a well-rounded perfume with as much smooth spice as floral sweetness. 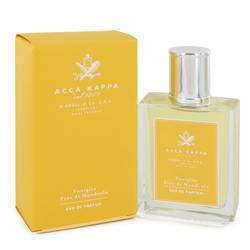 Acca Kappa is an Italian accessories company that initially entered the world in 1869 when Herman Krull, the founder, decided to try his hand at making high-end brushes. The brand established itself as a chief oriental brush maker over the decades, and in the latter half of the 20th century, began dabbling in the creation of soaps, lotions and other scented goods. It wasn’t until 1997 that the Italian company produced its first perfume, but since it has crafted 23 unique combinations for men and women. All products are original, authentic name brands. We do not sell knockoffs or imitations.